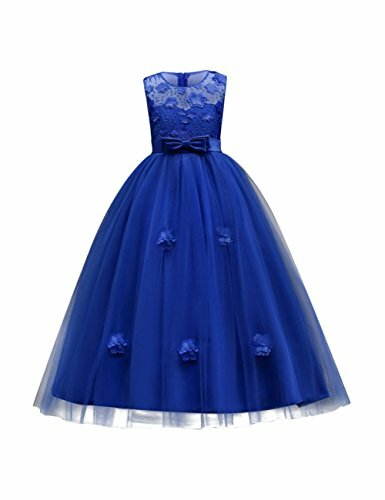 This dress is just beautiful! 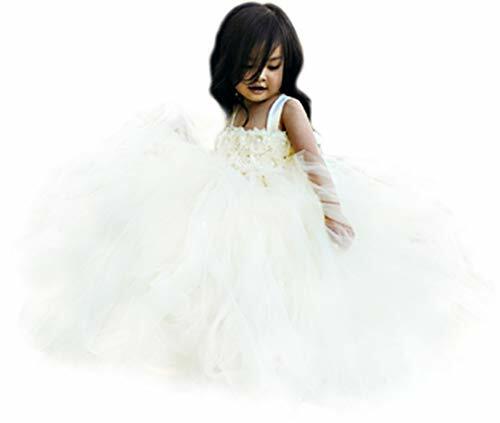 It includes a delicate white lace bodice with tiered tutu skirt. It also has an embellished lace and pearl detail on the bodice. The V Back with unfinished lace adds the perfect amount of boho chic look to this amazing dress. Perfect for her next special event. 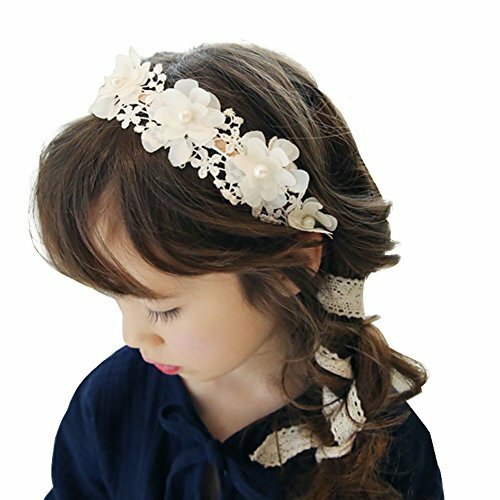 Classic flowers crown for parties, weddings, bridesmaids, communions, pledge ceremony, celebrations, events and special occasions or simply to dress up. 1. CARE INSTRUCTIONS: We recommend dresses be steamed upon arrival. Hand wash in cold water and line dry. 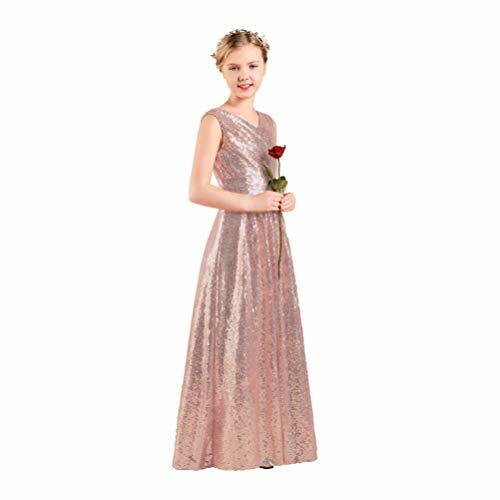 Due to different fabric batches used in the making of the dresses the color may vary a little bit from the picture. 2. 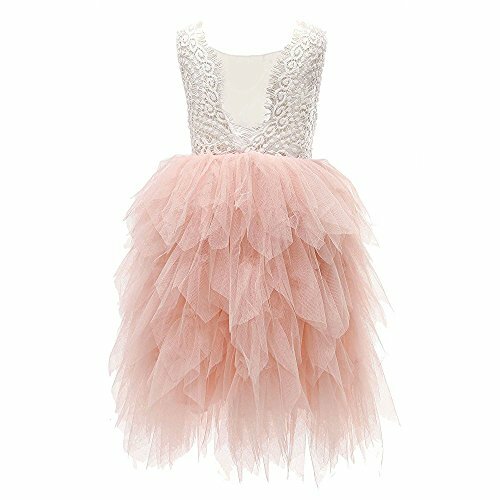 MATERIALS: 100% Polyester, rose puff flowers, multi-layer tulle. 3. 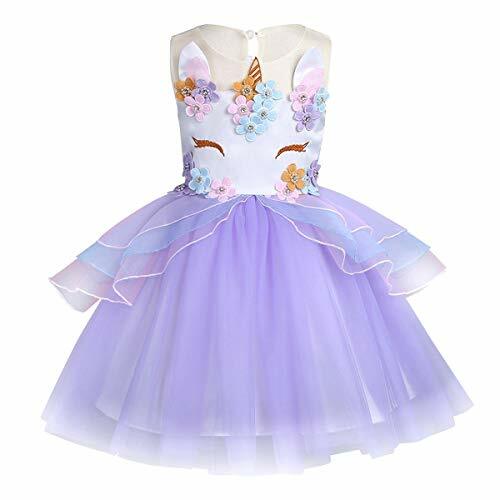 OCCASION: This darling dress is perfect for any little girl and occasion, flower girls, baptisms, birthdays, weddings, photos, birthday parties, church, baptisms, Photography prop and more! 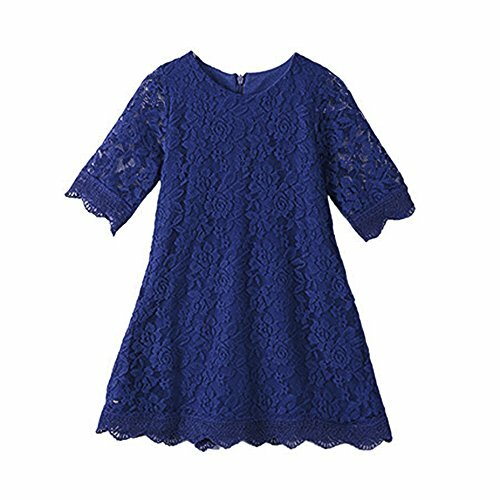 Material: Cotton Polyester and Lace Blending. 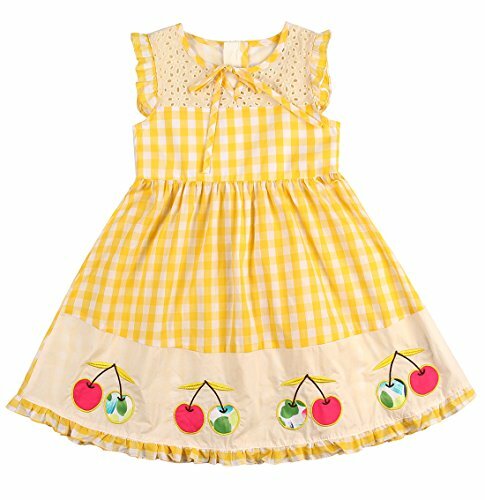 Size: Tag 100 / 2-3 Years: Length 55cm/21.6", Chest 56cm/22.0" Tag 110 / 3-4 Years: Length 59cm/23.2", Chest 59cm/23.2" Tag 120 / 4-5 Years: Length 63cm/24.8", Chest 62cm/24.4" Tag 130 / 5-6 Years: Length 67cm/26.3", Chest 65cm/25.5" Tag 140 / 7-8 Years: Length 71cm/27.9", Chest 68cm/26.7" Tag 150 / 8-9 Years: Length 75cm/29.5", Chest 71cm/27.9" Tag 160 / 9-10 Years: Length 79cm/31.1", Chest 74cm/29.1" Please allow 1 inch error owing to manual measurement. Washing: Hand wash and dry-clean. The soft, breathable touch for your baby girls. 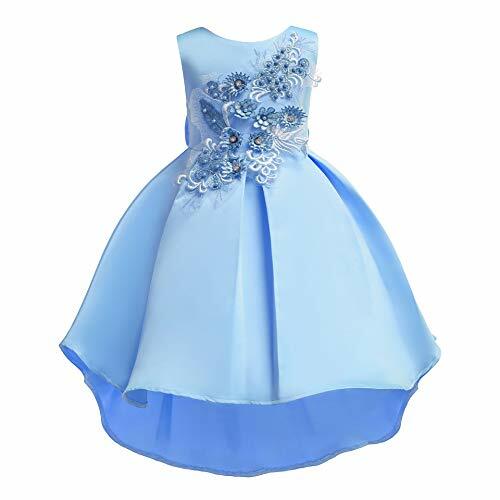 This girls dress will be a good choice for your daughter. 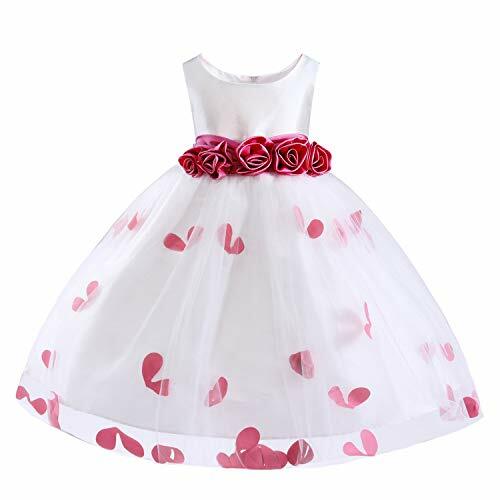 It is simple but high quality, which can be worn in everyday or formal occasion like parties, weddings, visiting and holidays.